An award winning Whiting and Hammond Pub in Eastbourne offering a daily changing menu using local produce and cooked to order. Whiting and Hammond’s most southerly gastro pub. In the wake of The Mark Cross’s hugely successful opening, we were next approached by Enterprise to take over this enthralling inn, which we gladly did in December 2007. Located on the outskirts of Eastbourne in Langney, the Farm is a more urban environment than many of our other locals. Dating back to medieval times, it is the oldest and largest pub we have acquired to date, benefiting from a unique open kitchen. As a fully functioning farm up until the early 1980s, many of the pub’s original beams and walls are still in place today and it hasn’t lost any of that charm. Before the early 20th century, Friday Street was also the only access road to and from Eastbourne, making the pub an important local landmark through the centuries. The events at the Farm are truly something to behold. Not least of these is our Burns Night celebration, which boasts a 10-piece Scottish pipe band and full oration and is always a hugely successful crowd-pleaser. Our ‘Mezzanine’, which we refer to as the Gallery, is the perfect place to hold private functions for up to 50 guests, while also providing an ideal setting for numerous annual celebrations. Despite its size, however, the place is full of cosy corners and quiet areas that allow for smaller groups or more romantic occasions. With our trademark pan seared fillet of sea bass served on a crayfish, rocket and Parmesan risotto heading up our mouth-watering menu, there is always a good excuse to fill both your evening and your stomach with our delectable dinners and amazing ale selection. We are also particularly proud of our senior management team here at the Farm, who have been showered with an assortment of accolades for their efforts. 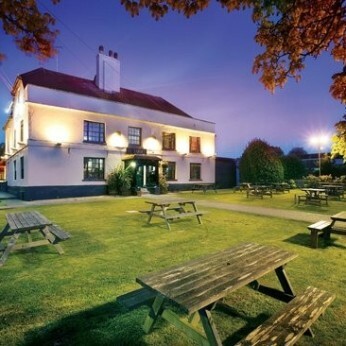 In 2009, the honour of South East Managed Pub of the Year was bestowed upon them at the Morning Advertiser Great British Pub Awards, as well as a finalist position for Managed Pub of the Year at the Great British Pub Awards, which it was also recognised for in 2011.